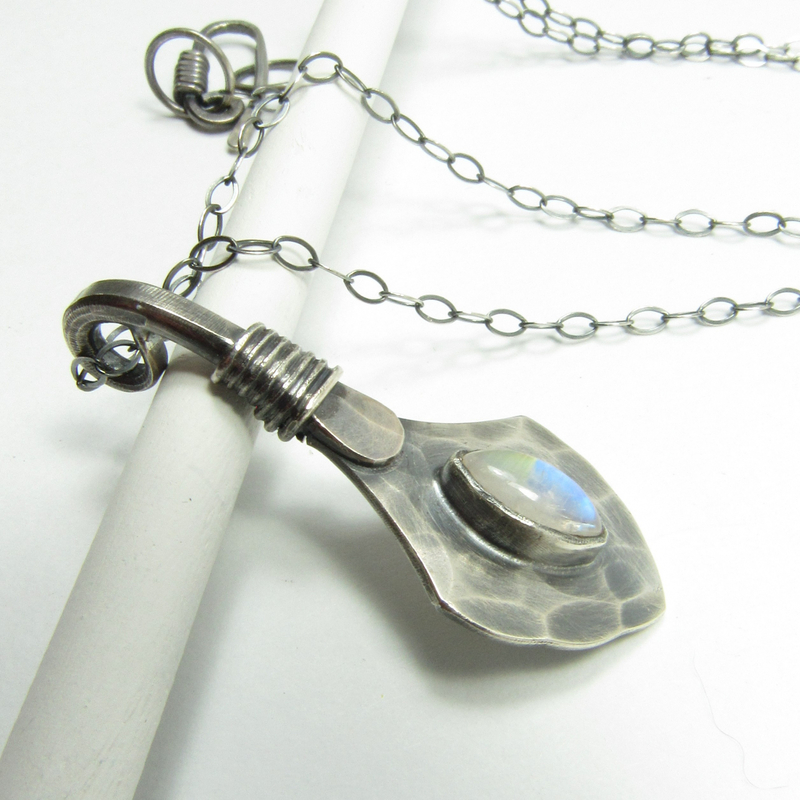 Beautifully forged sterling silver and rainbow moonstone pendant necklace evokes a more magical and mystical time. 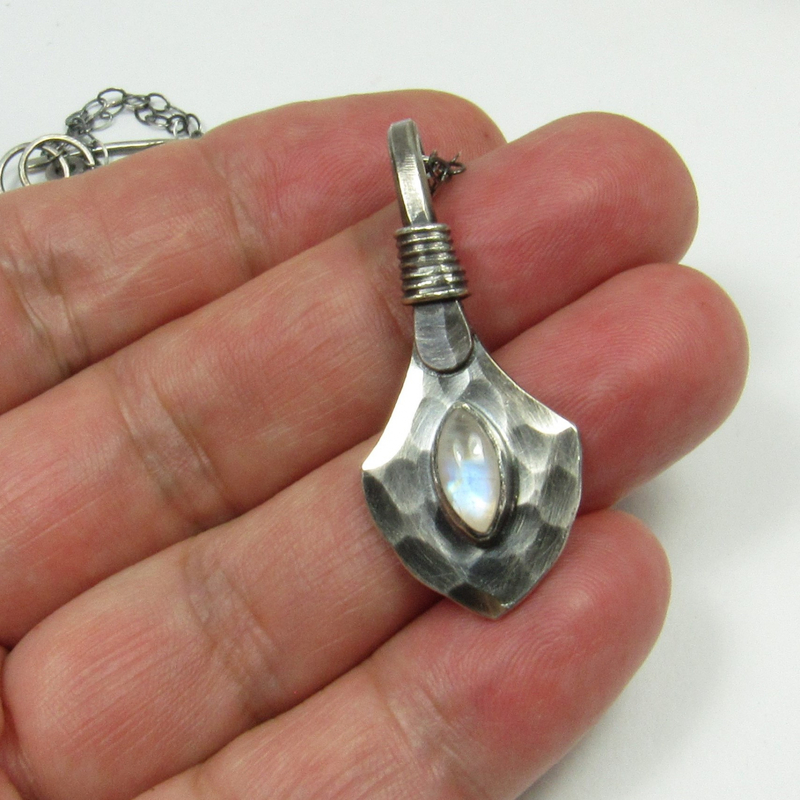 Created with a primeval aesthetic in mind, the knapped/faceted surface of the talisman spear point with luminous rainbow moonstone at its center, a protective symbol an emblem of strength and power, This spear point pendant will have you channeling your inner pagan goddess. 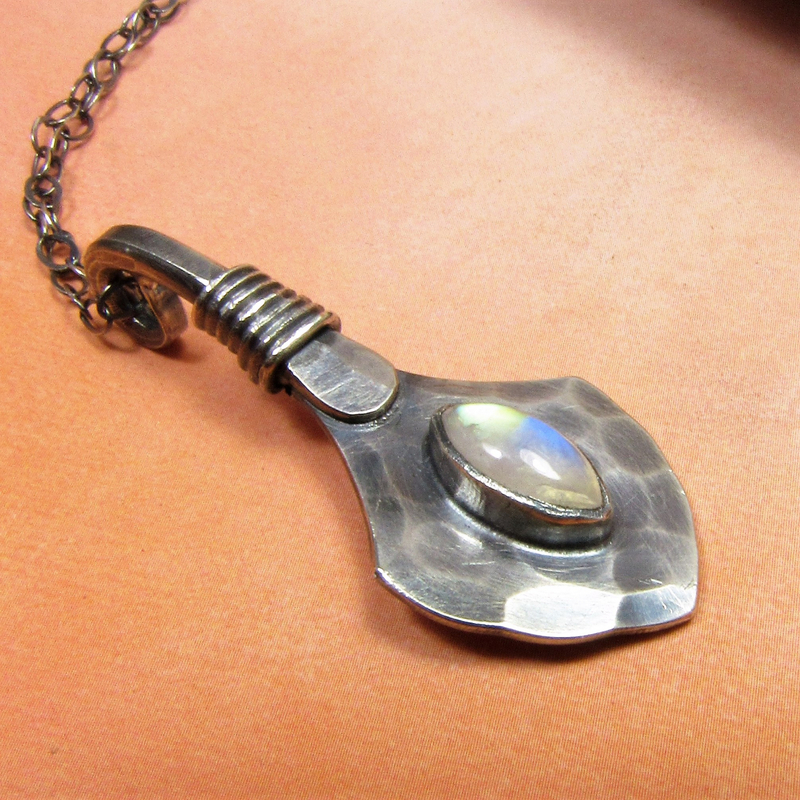 The marquis shaped moonstone cabochon is set in fine silver and has an etheral flash with golden and blue hues. Thick sterling stock was used to create this piece for an adornment to last a lifetime. 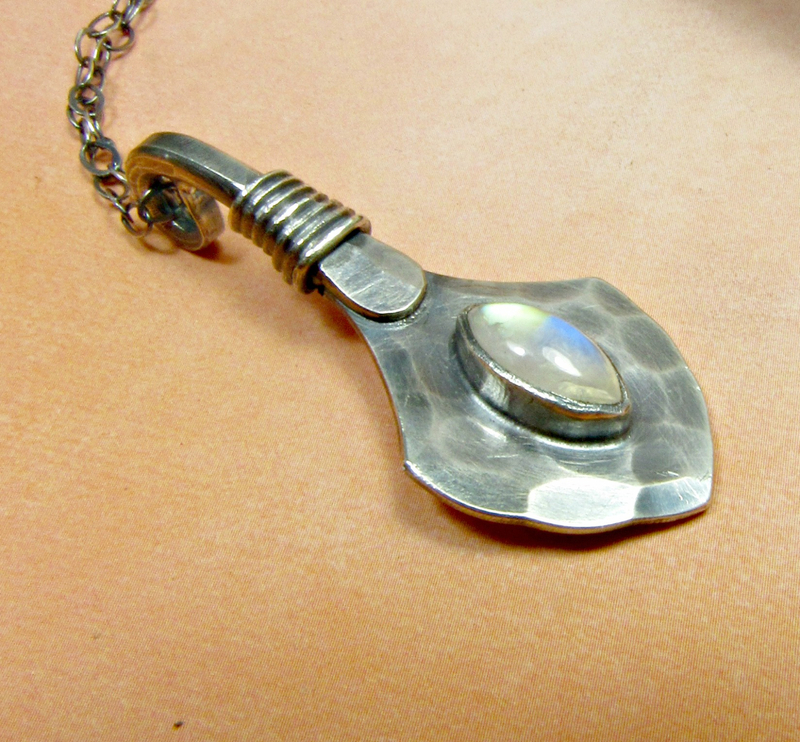 The moonstone pendant is suspended from a sturdy sterling silver chain with our handmade findings. The overall effect is of rustic refinement. 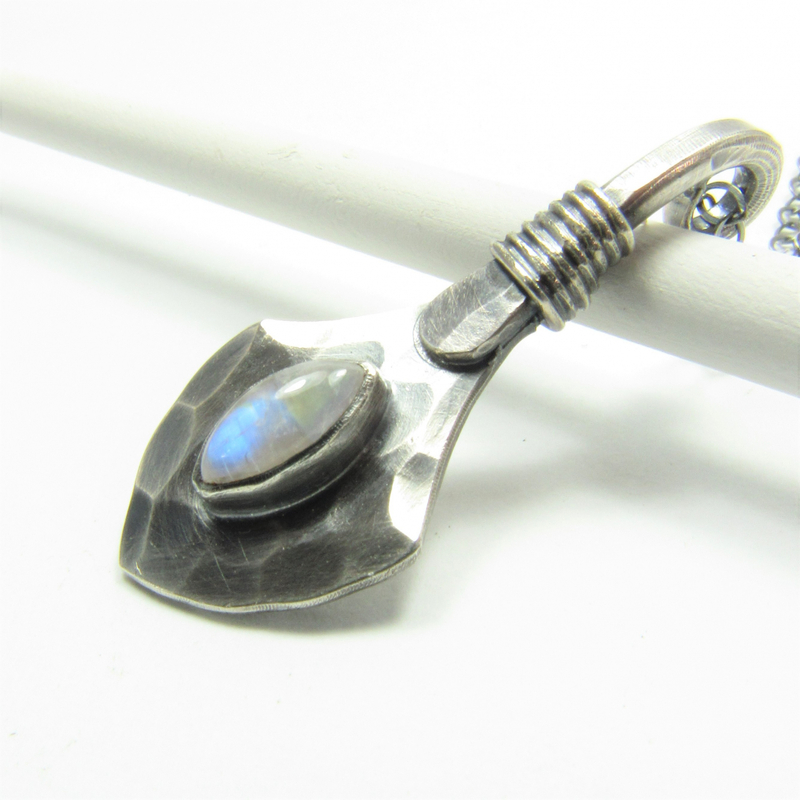 Artisan made metalsmith jewelry when common jewelry just wont do. Pendant measures 1.5" from top of bail and is 5/8" wide.